Painted for the cover of the Village Voice. 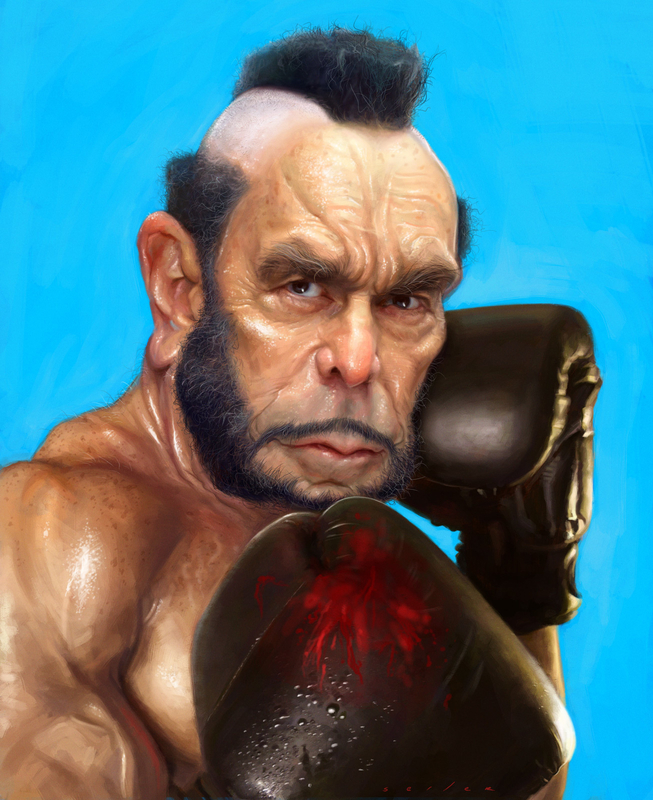 The art director and editor wanted to do a "Clubber" from Rocky III spoof with the likes of Mayor Bloomberg. This was an interesting challenge because Bloomberg is not a big or tough looking fella. My main concern was maintaining the likeness while adding muscles, mohawk and beard. It was typicall "editorial" deadlines, I had nearly two days to paint, but I can't complain, I love my job, and this one was a blast to paint!